In crisis management systems, situational awareness is usually at the basis of guiding the intervention process, and it is required to rapidly process data acquired from information sources on the field such as sensors or even humans. 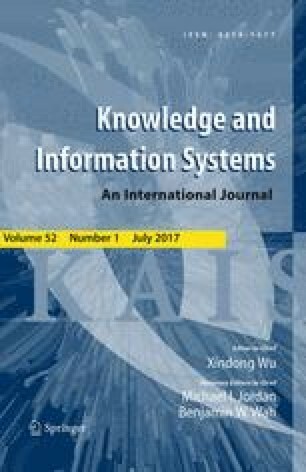 Given the variety and heterogeneity of sources and the amount of information that can be collected, together with the urgency of taking decisions, such information needs to be rapidly collected, filtered and aggregated in a form that can be used in subsequent machine-assisted decision support processes. At the same time, uncertainties in the input data or approximations in the processing phase may lead to an incorrect interpretation of the real situation in progress, which may generate mismanagements and severe consequences. This paper presents an event processor for crisis management systems that combines heterogeneous input sources to detect a critical situation. Complex Event Processing technology is applied for correlating data and creating events that describe the critical situation. Anomaly detection techniques are then used to analyze such events and detect possible anomalies, i.e., events not pertaining to the identified critical situation. The devised event processor creates trusted events that describe a critical situation merging inputs from heterogeneous and potentially untrusted sources. A prototype of the solution has been implemented and exercised within the crisis management system developed during the Secure! project. The experimental validation activities performed make use of different input sources, such as Twitter and sensors deployed on field (a Doppler radar for people detection and accelerometers for vibrations detection). The objective of the experimental campaign is to show (i) the adequacy of the solution to rapidly process the information and describe the critical situation, and (ii) its capability in detecting anomalous events that could impair the accuracy of the description of the critical situation. This work was partially supported by the research projects POR-CREO 2007-2013 “Secure!” funded by Regione Toscana, PRIN no. 20103P34XC “TENACE-Protecting National Critical Infrastructures from Cyber Threats” funded by the Italian Ministry of Education, University and Research, and the H2020-DRS-700191- STORM “Safeguarding Cultural Heritage through Technical and Organisational Resources Management” funded by the European Community.